(CNN) - The Romney-Ryan campaign released the following remarks prepared for Mitt Romney to deliver at the Republican National Convention/GOP convention in Tampa, Florida on Thursday evening. Follow the Ticker on Twitter: @PoliticalTicker, catch the latest updates from the GOP convention on CNN's 2012 Conventions Live Blog, and check out the CNN Electoral Map and Calculator to game out your own strategy for November. I was born in the middle of the century in the middle of the country, a classic baby boomer. It was a time when Americans were returning from war and eager to work. To be an American was to assume that all things were possible. When President Kennedy challenged Americans to go to the moon, the question wasn’t whether we'd get there, it was only when we'd get there. Unconditional love is a gift that Ann and I have tried to pass on to our sons and now to our grandchildren. All the laws and legislation in the world will never heal this world like the loving hearts and arms of mothers and fathers. If every child could drift to sleep feeling wrapped in the love of their family – and God’s love - this world would be a far more gentle and better place. Those days were toughest on Ann, of course. She was heroic. Five boys, with our families a long way away. I had to travel a lot for my job then and I’d call and try to offer support. But every mom knows that doesn't help get the homework done or the kids out the door to school. Many of you felt that way on Election Day four years ago. Hope and Change had a powerful appeal. But tonight I'd ask a simple question: If you felt that excitement when you voted for Barack Obama, shouldn’t you feel that way now that he’s President Obama? You know there’s something wrong with the kind of job he’s done as president when the best feeling you had was the day you voted for him. So we started a new business called Bain Capital. The only problem was, while WE believed in ourselves, nobody else did. We were young and had never done this before and we almost didn’t get off the ground. In those days, sometimes I wondered if I had made a really big mistake. I had thought about asking my church’s pension fund to invest, but I didn't. I figured it was bad enough that I might lose my investors’ money, but I didn’t want to go to hell too. Shows what I know. Another of my partners got the Episcopal Church pension fund to invest. Today there are a lot of happy retired priests who should thank him. These are American success stories. And yet the centerpiece of the President’s entire re-election campaign is attacking success. Is it any wonder that someone who attacks success has led the worst economic recovery since the Great Depression? In America, we celebrate success, we don't apologize for it. That’s what this President doesn’t seem to understand. Business and growing jobs is about taking risk, sometimes failing, sometimes succeeding, but always striving. It is about dreams. Usually, it doesn't work out exactly as you might have imagined. Steve Jobs was fired at Apple. He came back and changed the world. It’s the genius of the American free enterprise system – to harness the extraordinary creativity and talent and industry of the American people with a system that is dedicated to creating tomorrow’s prosperity rather than trying to redistribute today's. In his first TV interview as president, he said we should talk to Iran. We're still talking, and Iran’s centrifuges are still spinning. Nice imaginative essay. Be gentle enough to talk about what u will do and not what Obama has not done. Just the economicand social mess that the Republicans left behind. Obama is sheer courage. Romney could not have undone it. To Mitt I would say this: "Yes. The country is doing better than it was four years ago when President Obama was elected. Go home and enjoy your fortune." Namejkane fl SEND THE THREE TIME LOSER romney HOME AND MAKE IT FOUR. Romney the tax cheat is a waste of good space that should be saved to discribe his landslide lose to Obama and the DEMS in Nov ,you did it to yourself Gop goofball party . My eight year old kid asked me about what Romney's stance on the environment was . What do I tell her , he doesn't have one , or its just slash and burn ? Romney makes GW look like a great guy. This is a convention speech. Much more to follow ie debates and millions of $$ of advertising. Yet, most of you act like you've made up your mind that the course we're on is the right one. I hope so but the proof isn't there. Why don't you step back, take a breath, listen to the candidates, study, and then review what you've learned before you vote? And even then, you won't have all the facts – we never do. But in our democracy, the will of the people, over time, has created the best country in recorded history. I hope that continues. Mitt Romney has spent nearly a year telling Americans that Obama has done everything wrong. But, he has not shown the Americans the magic wand he seems to have with which he will set everything right. That $22.00 job was outsourced by Bain Captial. Way to go Mr. Romney you screwed another American worker. Please Mr. Romney go home and count the money you have hidden in offshore accounts. America doesn't need a corporate insider as president. I am really getting tired of these people talking about "it looks like he really loves his wife". Who cares my father loves my mother, there are a lot husbands who love their wives that doesn't mean you should be president and really what does this mean. 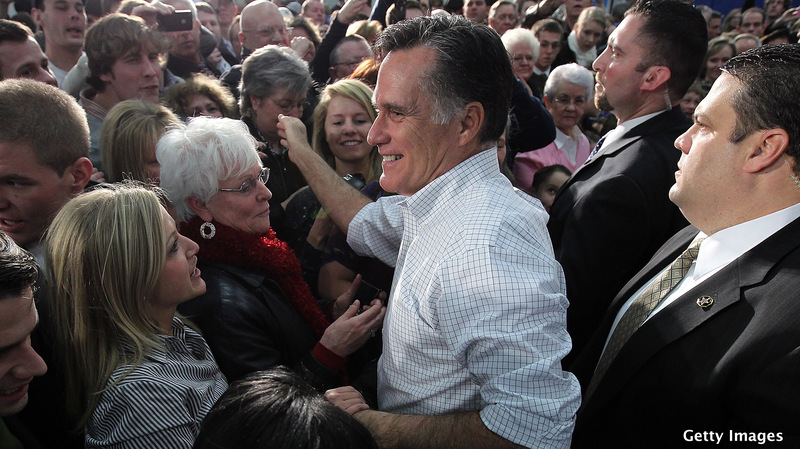 They keep talking about Romney loves his wife and Romney is a good husband. Why are you trying to convenice me that he is? What behind the scenes is he not? Are you trying to say he loves his wife more than Obama loves the first lady? I mean what is this, Lifetime? This is supposed to get the women vote? Get real. Five point to jobs will not bring back the millions of jobs sent across the Pacific by favoured big business. Get real. Nothing but empty talk. Show me your plan, not beliefs nor promises. In politics, all beliefs and promises are lies. For those who say that Romney's speech was a waste of time: not as much of a waste of time as four more years of Obama or the past four years. I find it hard to believe he cares about America.